Nitin Aggarwal, formerly of the Medical College of Wisconsin, faked data in his PhD thesis, grant applications to the NIH and American Heart Association, and in two papers, according to new findings by the Office of Research Integrity. Aggarwal, N.T., Pfister, S.L., & Campbell, W.B. “Hypercholesterolemia Enhances 15-Lipoxygenase Mediated Vasorelaxation and Acetylcholine-Induced Hypotension.” Arteriosclerosis, Thrombosis, and Vascular Biology 28:2209-2215, 2008 (hereafter the “ATVB paper”). Aggarwal, N.T., Pfister, S.L., Gauthier, K.M., Chawengsub, Y., Baker, J.E., & Campbell, W.B. “Chronic hypoxia enhances 15-lipoxygenase-mediated vasorelaxation in rabbit arteries.” American Journal of Physiology – Heart Circulation Physiology 296:H678-H688, 2008 (hereafter the “AJP paper”). 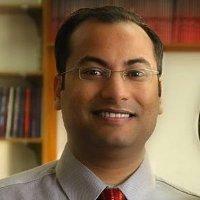 Aggarwal, N.T., Principal Investigator (P.I. ), National Scientist Development grant application to the American Heart Association No. 11SDG7650072, “Sulfonylurea rReceptor-2 splice variant and mitochondrial mechanisms for cardioprotection and arrhythmia” (hereafter the “AHA grant application”). K99 HL113518-01, “Mitochondrial ATP-sensitive K-channels and pharmacological approaches for cardioprotection,” Aggarwal, Nitin, Ph.D., P.I. Aggarwal, N.T. “Endothelial 15-lipoxygenase regulates vasorelaxation and blood pressure in rabbits in normal and pathological condictions.” A Dissertation Submitted to the Faculty of the Graduate School of Biomedical Science of the Medical College of Wisconsin in Partial Fulfillment of the Requirements for the Degree of Doctor of Philosophy, Milwaukee, Wisconsin, 2008 (hereafter the “thesis”). false reporting in Figure 4A of grant application HL113518-01 for the number of mice used for the physiological data for ATP-induced potassium influx in murine mitochondria as three to four, when only a single mouse was studied. The Arteriosclerosis, Thrombosis, and Vascular Biology paper has been cited nine times, according to Thomson Scientific’s Web of Knowledge, while the American Journal of Physiology – Heart Circulation Physiology paper has been cited six times. The relevant grants were R01 HL37981, R01 HL54075, and R01 HL57414. Aggarwal agreed to three years of required supervision on NIH grants, and that he wouldn’t serve on any NIH committees — such as peer review committees — for that period of time. Aggarwal won a $1,000 award for his dissertation in 2009. According to his LinkedIn profile and a recent speaker announcement, he’s now working at Bristol Myers-Squibb. We’ve tried to reach BMS for comment, along with the Medical College of Wisconsin, and will update with anything we learn. Update, 6 p.m. Eastern, 10/17/13: The Medical College of Wisconsin tells us they have no comment on the ORI’s findings. Update, 10 a.m. Eastern, 10/18/13: BMS also tells us they have no comment. Is he smiling in that picture? I can’t tell. Either way, the “penalty” seems rather mild, considering that he basically presented false information to procure government money, which is kind of illegal. Any news from the journals on whether retractions are forthcoming? And of course, with a surname like that, the question must be asked if he’s related to the other Aggarwal who frequents these pages? the actual penalty will most likely be a bit higher, i.e. no referee is ever going to judge a grant proposal from him positively again, and most likely he will never be invited again for grant committees, effectively removing him from active science. He works as senior research investigator for big pharma right now, why should he care if he sits in a grant committee or gets public monies? That may not last very long. Why would Big Pharma retain his services? Pharma scientists can retain affiliations with NIH grant review committees (a colleageu of mine does this now). Besides, honesty and integrity are not the exclusive domain of academia. This guy’s career is toast. I agree totally with your assessment about his future being bleak. But it would be nice for the ORI to take a more aggressive stand on this sort of thing. How much fraud do you need to commit to be officially and permanently excluded from the NIH system? Three grants are involved here, which likely totaled $500k or more. No small change (not to mention the impact on other researchers that may have been trying to expand on the work). A slap on the wrist from ORI for this sort of thing does nothing other than to reinforce the rather lackadaisical attitude towards fraud displayed by institutions, journals, and—hate to say it—us. Again, as in all threads about the ORI, I need to point out that the ORI can only do what they are authorized by Congress to do. They can investigate and produce reports with their findings. They have very little power to discipline researchers. I don’t even know if they can sanction someone without their agreement. They do not have to authority to initiate legal action. And before anyone starts thinking that the ORI should be given more power, remember that money given to ORI is taken from research. Court cases cost millions and cases involving scientific or academic misconduct will never be successful. Dan, you seem to be really well informed on this. For non-US scientists, where can they get comprehensive information about this issue of funding, link to Congress, limits on case studies and other issues related to the bread and butter of ORI’s functioning? If you know of any good sites or PDF files, please let us know. The ORI site is of course biased and will not give this essential background. Absolutely agree. If universities had to repay NIH for grants on which the PI was sanctioned, there would be a whole lot more accountability. And the returned funds could go to legit investigators. His PhD should be withdrawn if it is based on fake data. I think his PhD should be revoked. He did not earn it. This is another sad day for science based on the actions of a greedy and lazy behavior. Medical College of Wisconsin has a black eye because of one person, this is shameful. This is a good institution, and this selfish person has inflicted damage to the name of that institution. They should strip him of that PhD degree. He did not earn it. I think we have to be careful here. He clearly did earn his PhD. The problem is he got caught. There may be news very soon on others who earned their PhDs, but unfortunately, got caught. Whereby there may be news on others who did get their PhDs and did not get caught go on with their normal lives. I am doubtful whether his future is in Pharma or elsewhere. Perhaps he has changed his ways and is now a role model for those under him. Or perhaps he is better at covering things up now. We don’t know. For sure his peers that allowed him to do the erronous work are equally to blame. Good supervision is not possible by poor supervisors. I don’t see what the problem is. If he faked data in his PhD, then it will be revoked and he has therefore clearly ‘unearned’ it. Maybe if the data faking is minor and most of the PhD still stands, but it’ll be hard for him to keep I think. He’ll probably be stripped of it. How can data faking me minor. It’s the lack of morals and integrity that is troubling. A cheat is a cheat. We don’t have big cheats or small cheats, just cheats. FYI, the Federal Register never stopped publishing despite the note to the contrary on the top of the page and this did, in fact, appear on Oct. 2. I reported it on Oct. 3, that’s how I know. the FR just ran out stuff toward the end but it never shut down. Investigating Research Integrity? Better start by investigating the Office of Research Integrity itself! It is ironic that the Office of Research Integrity (ORI) is regarded as a stronghold of the ethical standards in academic research. For those who have closely examined trial proceedings involving the ORI nothing is further from the truth. ORI surely catches some of the bad science that appears to be rampant, but its incompetence and abusive behavior often pass unnoticed to the general public. If you examine closely the notorious Baltimore-Imanishi-Kari case you will see exactly what I am talking about. The ORI has very little oversight and operates pretty much like in the margins of democratic transparency. Unfortunately, its incompetence becomes apparent only in cases where their proceedings are brought to light, like in the Baltimore-Imanishi-Kari case. The fact that ORI lacked expertise to properly assess that case did not deter the ORI from performing a “statistical analysis” of the data under scrutiny and concluding (incorrectly) that Dr. Imanishi-Kari had committed fraud. Nothing more dangerous than drawing conclusions from statistics on data when you don’t know what the data means! But ORI did not treat their sloppy findings with caution (after all, who cares about destroying a human being?). To justify their existence as the ethics rottweiler, the ORI invested heavily on Imanishi-Kari downfall, they bullied the institution where she was working (after all, nobody wants to lose NIH financial support), and trashed a good 5-6 years of her life. When she brought the right experts to trial, she won her case with flying colors, revealing the venality and incompetence of the ORI. She could have gotten tens of millions from NIH but chose not to sue, as far as I know. Ethical standards? Beware of people who talk too much about ethics! Case in point: Alan Price, the former ORI director. Alan Price, the ORI insider, now offers his consultancy services to institutions that investigate misconduct and must report to ORI, so the institutions can be more effective at neutralizing witnesses and destroy reputations to justify the role of ORI in society. Furthermore, ORI even recommends Alan Price as advisor to the institution. Any conflict of interest here? It is true that ORI has a job that few would enjoy. It is hard to imagine a successful scientist working at ORI. Yet, its role is viewed as important to the taxpayer. But this perception will quickly change, especially as ORI’s actions are brought to light and Congress becomes more and more aware of their tactics. Bring to light the ORI proceedings, and the agency disintegrates in thin air. What about his research supervisors? What were they doing all the time? are they not equally responsible? Out of curiosity, how do people like this get caught in the first place? I dont work with lab data nor in the US so I am not familiar with how this all works.